Wow, a legitimate mainstream candidate supporting personal marijuana use, not really. 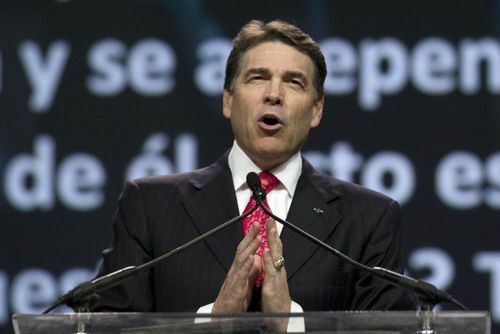 Perry has a history of amending his states’ rights views whenever it is politically expedient. As Governor of Texas, and in an attempt to position himself for a Presidential run, Perry is trying to style himself as a “social conservative.” Being a social conservative is not necessarily at odds with support of states’ rights. The problem is when social conservatives begin to legislate their social values. Rick Perry has already done this on the issues of gay marriage and abortion. Despite inroads by more Libertarian-minded voters, the social conservative block is still a large part of the Republican party. Rick Perry has already proven he will throw his ideology out the window in the interests of getting elected. It is only a matter of time before we see Rick Perry “clarify” his position on medical marijuana. 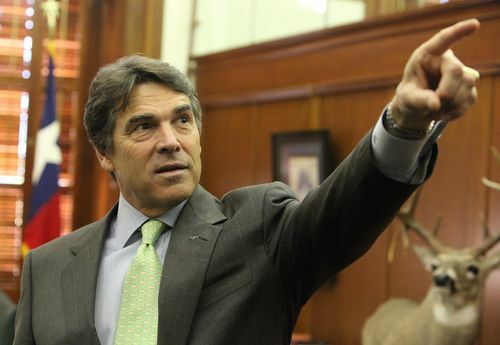 Governor Perry has the look of a Presidential candidate and may well be the GOP nominee. If this happens, you will likely see an unspoken truce between Perry and Obama on medical marijuana. Candidate and Senator Obama talked a good line on medical marijuana front, but has flopped completely in office. There is no doubt Governor Perry will do the same, so both parties will simply agree to ignore it. When looking for a candidate for President, look not just at what they say but take the time to look into their voting record. This entry was posted on Tuesday, August 16th, 2011 at 20:25	and is filed under Celebs, Marijuana Laws, Medical Marijuana. You can follow any comments to this entry through the RSS 2.0 feed. You can leave a comment, or trackback from your own site. Start with your state first, and show proof of your actions! Lets check out free google play gift card code generator. Start with this amazing google play code generator and have more paid apps, videos, and much more on google play store. Get msp app now by msp hack no survey online tool it generates homepage of msp app for you . Enjoy playing msp by generating unlimited star coins and diamonds for free so unlock higher levels as much a you can .!!!!!!!!!! Happy to share that you can change the ringtones of your windows 10 phone by going through few settings , so grab this ringtones from here.